KENZO’s ‘Icon’ A4 pouch is an oversized yet sleek clutch bag in a high-shine, patent finish. 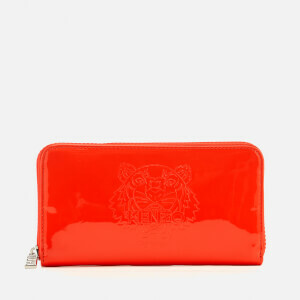 The label’s iconic tiger motif and KENZO logo is embossed on the front of the bag. 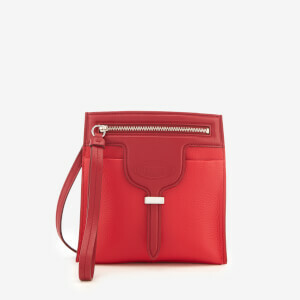 A zip top fasten main compartment houses a cardholder slip pocket within the lined interior. An external slip compartment on the rear offers additional storage. The versatile bag can be used as a pouch stored within a larger bag to hold essentials or used as a clutch. Finished with curved edges on the base, tonal stitching and a KENZO logo on the metal zipper.